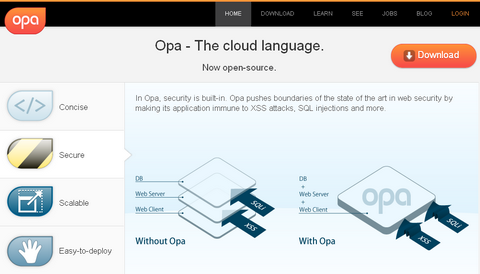 Opa is a new generation of web development platform. It is a new programming language, a new web server, a new database and a new distributed execution engine, all of them tightly integrated to provide a great experience for web developers. Opa is concise, simple and readable, it is also extremely powerful, concurrent, dynamically distributed, and extremely secure, much more so than just about any other programming language. 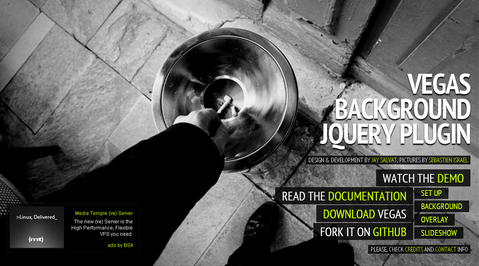 Opa is designed to make web development fun, secure and right. Vegas Background jQuery plugin lets you add beautiful fullscreen backgrounds to your webpages. It even allows Slideshows. 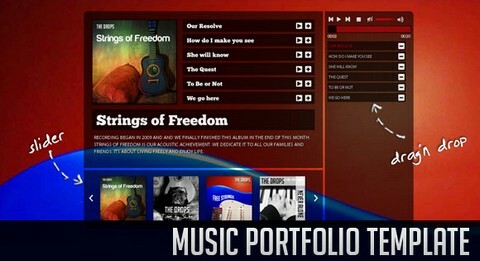 Slideshows of different backgrounds, transition and callbacks can be easily set up. Most of the time, backgrounds are stretched a lot to fit big screens. 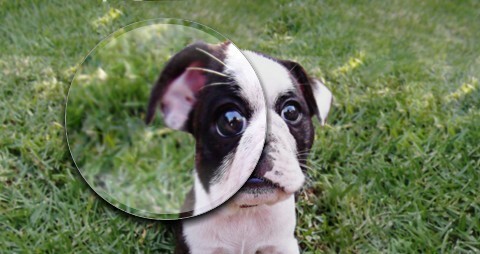 An overlay with a texture can be added to mask the image degradation effects. It also adds a stylish look to your backgrounds. 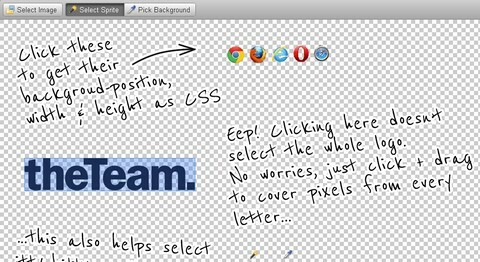 You can easily add overlay pattern to your backgrounds with CSS. 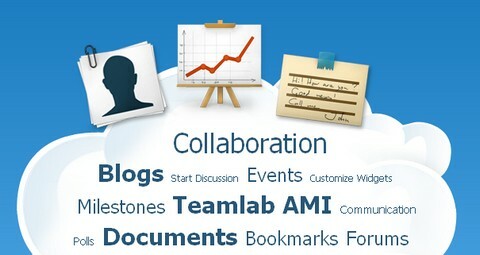 TeamLab is a free open-source platform for business collaboration and project management. It allows you to use social networking tools such as blogs and forums, organize business tasks and milestones, as well as communicate with your team members via corporate IM. 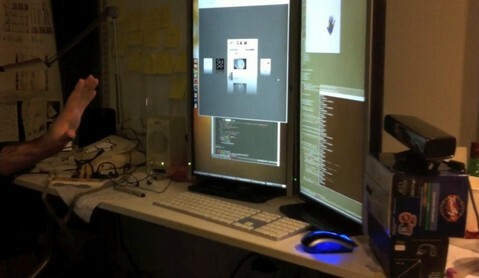 TeamLab business collaboration platform is an open-source software. The source code is for developers and experienced users who wish to install and configure the platform manually on their own server. According to the license terms, you are free to test, evaluate, customize and improve the code. In 2009, the White House chosen Drupal as the open source platform for its web site. If the most powerful voice in our nation chooses to tap into global innovation by using an economical, open source platform called Drupal to manage intensely scrutinized, mission-critical content each day and to effectively encourage feedback from citizens … why wouldn’t you? OpenPublic is the product of a decade’s work in the open source network and the collective experience of building secure, scalable, transparent websites for all sectors of government and the citizens they serve. 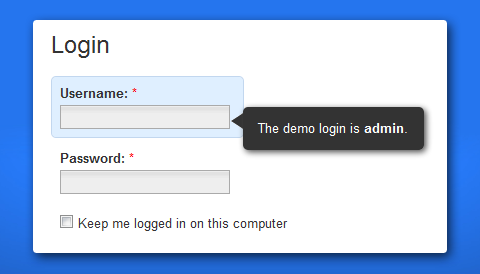 jFormer is a form framework written on top of jQuery that allows you to quickly generate beautiful, standards compliant forms. Leveraging the latest techniques in web design, jFormer helps you create web forms that: Validate client-side, Validate server-side, Process without changing pages (using AJAX).